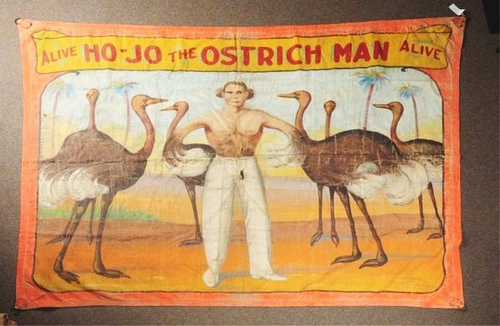 This circa 1915-1920 sideshow banner from the studio of Chicago’s O’Henry Tent & Awning Co. is on the auction block today at Morphy Auctions along with another advertising Ho-Jo The Ostrich Man. The pre-sale estimate for the two banners is $600-$1,200 and bidding is available online. Went for $3000. 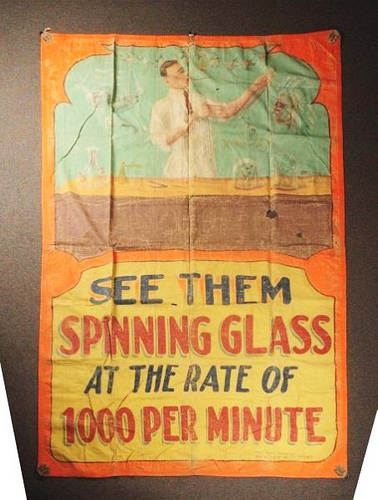 I would love to own a vintage sideshow banner.